Atlus has officially delayed Vanillaware's 13 Sentinels: Aegis Rim indefinitely in Japan. The game was previously scheduled to release in 2018, but has now only been given a release window of "to be determined". Additionally, while the game was previously announced to release for both PlayStation 4 and PlayStation Vita, the game is now only planned for release on PS4 exclusively. Atlus states that they decided on the delay and consolidation of platforms in order to best bring a high-quality game to their customers. The company also states they'll post an update when they decide on a new release date. 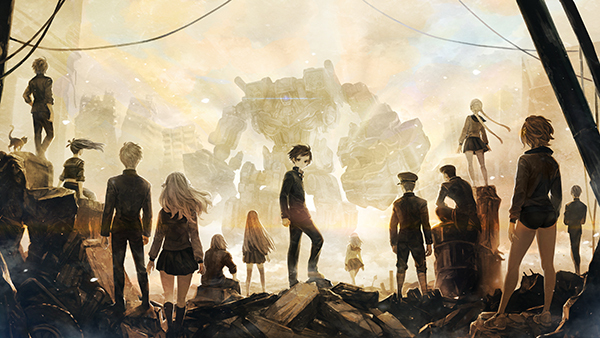 Originally announced in 2015, 13 Sentinels: Aegis Rim was last seen at E3 2017 and Tokyo Game Show 2017, showing a mix of adventure-like gameplay along with shoot-em-up style segments. Looks like we'll have to wait a little bit longer to see what Vanillaware has in store with their new game.